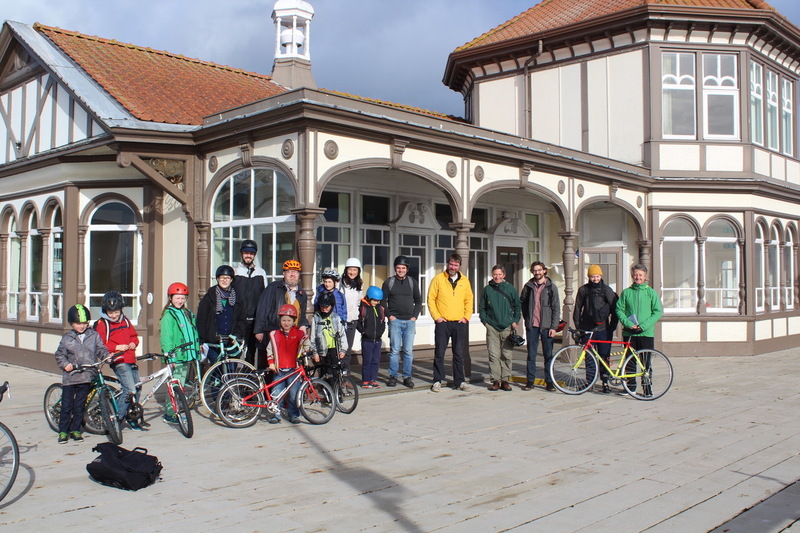 Chris Stewart and Tom Warren of Collective Architecture helped organise the annual Ecological Cycling and Walking tour which this year took place around Dunoon and the Cowal Peninsula. Peninsula Expedition builds on last years very enjoyable Island Expedition held on Bute when cyclists and walkers spent their September Weekend visiting buildings and projects with an emphasis on all things sustainable. This included Queens Hall, Dunoon Burgh Hall, Fyne Homes Passive House 'Tigh-na-Cladach', Benmore Botanic Gardens and Kilmun Parish Church. The Scottish Ecological Design Association produced an Island Expeditions Tour Map for the adventures in Bute, and a similar map for Peninsula Expedition in Cowal. The Peninsula Maps are capable of being added to the Island Expeditions maps to complete the Three Ferries Cycle Route between Wemyss Bay to Rothesay, Rhubodach to Colintraive and Dunoon to Gourock.